The voyage of LotLinx—a premier automotive digital advertiser—began when four visionaries Len Short, Robert Vucic, Jason Knight and Denise Chudy realized that there were too many layers wedged between automotive dealers and their prospective customers. To solve this crucial pain point, LotLinx developed a revolutionary platform that uses cutting edge technology and machine learning to provide intuitive, vehicle specific, advertisements that match consumer demand directly with inventory supply—completely free of third party interferences like lead forms or pay walls. The firm focuses on providing VIN-specific digital strategies tailored to meet the individual business needs of their dealer customers and agency partners, all the way up to the OEM level. Their advertising campaigns are optimized for landing highly engaged, low-funnel automotive shoppers on the dealer’s vehicle details pages (VDPs), by tracking shopper behavior and serving customized advertisements that match their interest. LotLinx uses a revolutionary data management platform, proprietary shopper scoring algorithms and artificial intelligence (AI) to identify the best time and place for an ad to reach an interested buyer. All of these ads link directly to the dealer website VDP or their new conversion-optimized mobile VDP templates. Their advanced technology scores prospective customers based on their demonstrated intent to purchase and tracks/remembers which models they are shopping. This approach enables dealers to serve shoppers ads only when they match with a vehicle in their inventory—eliminating expensive and inefficient “spray and pray” digital marketing campaigns the auto industry has come to know so well. 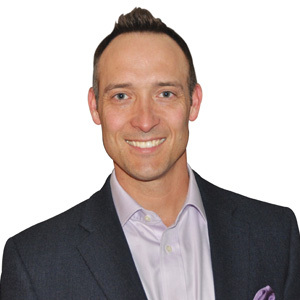 Simply put, “We create VIN-specific campaigns that drive highly qualified, highly engaged buyers directly to the dealer’s VDP at the optimal time to influence purchase,” explains Jason Knight, Co-founder and COO of LotLinx. Today, LotLinx TURN™—the brain center of LotLinx solutions—empowers automotive dealers to develop, execute and manage digital strategies that optimize monthly spend with campaigns that target specific inventory and help vehicles move at a pace that achieves the highest gross profit. By developing a platform that offers advanced features and capabilities unmatched in the industry, LotLinx is creating a unique presence in the automotive advertising arena. “Our Turn platform provides a 360 degree integration with the dealer’s website, inventory, existing digital marketing results and shopper demand, for better visibility into marketing efficiency and opportunities,” notes Knight. Moreover, each vehicle’s requirement-to-sale is different and so should the marketing effort and dollars spent. Knight continues, “Mountains of research has indicated that a vehicle receiving 30 VDP views in 30 days is 25 percent more likely to sell, than one that doesn’t.” LotLinx tools empower dealers with the ability to identify the exact vehicles on the lot that are not receiving adequate shopper engagement and launch VIN specific advertising campaigns, across the omni-channel LotLinx platform, that will help those vehicles move up to 36 percent faster. LotLinx is successfully assisting thousands of dealers across the nation to transform their sales results, while dramatically reducing wasted ad spend. One of their most impressive customer success stories is that of Grubbs Infiniti—a Texas automotive dealer—which in 2016 achieved recognition as the world’s #1 Infiniti dealership. Grubbs was an early adopter of LotLinx. Since then, they’ve achieved consistently high sales, which Executive Manager George Grubbs III credits in part to the highly-customized nature of the LotLinx campaigns. In the days ahead, the firm aims to further improve dealer marketing efficiency by focusing on developing technologies that enhance conversions, while continuing to lead in the automotive category with their superior innovations. “We are blessed to have some of the most advanced, strategic, and technical thought leaders in the industry. We will continue to innovate and fulfill our mission to help dealers sell more vehicles faster,” concludes Knight.